The media browsers and database collections of most digital DJ mixing systems can be a bit painful to use (e.g. Virtual DJ). I have found that accurately tagging my collection in another program like Media Monkey and then copying the collection over in bulk to the mixing laptop is the best method of managing my collection. Whenever I have the time I troll through all the folders and clean them out. All the software gets deleted or moved to the Software Drive (S:), same for the Watching Pleasure (W:). All the music I extract and play next in Media Monkey. 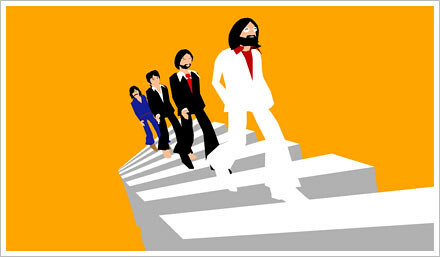 I quickly skip through a few tracks to get a feel for genre of the album. I’ll delete the whole album fairly ruthlessly if it sounds at all cheesy or not really my style. I have uploaded a new demo mix. It is a 40 minute journey with some chilled out energy at 122 bpm. It was mixed with mp3’s on virtual dj with a novation remote-25 for midi control. Go the Wii! All this talk about who will top the home console in the coming death match of the ps and xbox. Yet all the news articles I have seen on consoles recently have been about the Wii wooing hearts and minds of toddlers and grans alike. Now what do I find but a crazy cat has hooked one up to his sampler and loop software on his pc and is using the WiFi Wii handset to create a live mix. I wonder if anyone has added visuals as well? 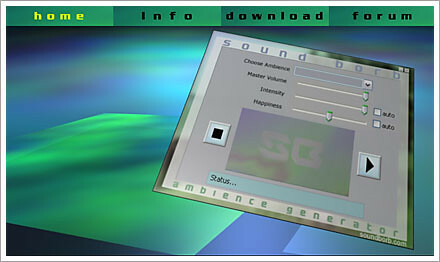 This small (18 MB) application will provide you unlimited background ambiance, with no loops or repetition. The are a couple of sliders; one for happiness and the other controls intensity. You can download additional ambiance package themes with titles like infinite void, space junk and Siren Song. So you’re a pretty savvy computer user. You know how to change your desktop wallpaper, you can remove spyware and keep your computer updated with Windoze update. You’ve mastered files and folders, and haven’t lost anything in age. You’ve got the hang of mp3’s, and have watched some video’s online with YouTube. You’ve heard that you can download anything from the Internet but you haven’t had much luck by googling for things to download. Today I’m going to walk you through how to use Zuedo aka. Azureus, a BitTorrent client to download files from the Internet. then you don’t have the Java Runtime Environment installed – and you’ll need to click the Download (10MB) button to get it. 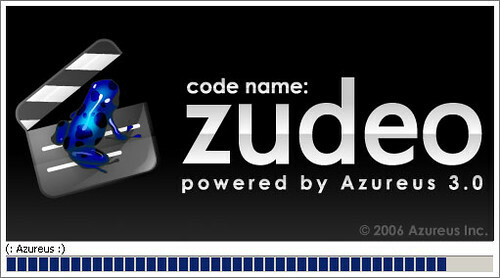 It will install automatically then the Azureus installer will carry on. On all the screens just click next, accepting the agreement when prompted. The install will take a couple of minutes. Click finish and Azureus will start.